This is a very elegant necklace. At the top of the necklace is a round diamond set in a mille-grained platinum tube with a platinum chain running freely through the back. 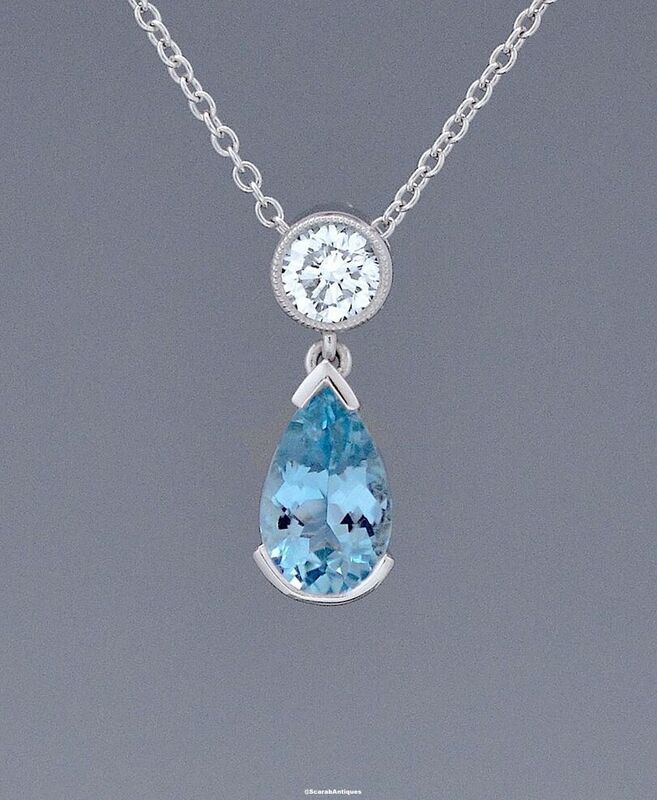 Suspended from the diamond is a pear shaped aquamarine mounted in an articulated platinum drop.